With a stay at Mason Hotel Shanghai, you'll be centrally located in Shanghai, within a 10-minute drive of Jing An Temple and Shanghai French Concession. Featured amenities include complimentary wired Internet access, a business center, and express check-out. 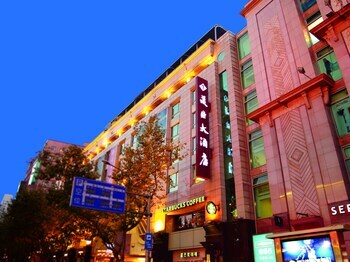 With a stay at Jinjiang Inn Fanrong East Road - Zhucheng in Weifang, you'll be within a 15-minute drive of Cangwan Park and Wangjinmei Memorial Hall. Free self parking is available onsite.